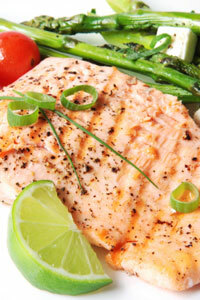 A heart healthy diet is very much an antiaging diet!. Heart healthy meals are low in sugar, grains, and bad fats. Heart healthy foods are high in fiber, protein, and good fats, and will help prevent heart disease. Despite what you have heard from “official sources” about what causes heart disease and what constitutes heart healthy foods, the truth diverges from what the so called authorities are telling you. Sugar rather than saturated fat is the real culprit in heart disease and I will explain why. There are several types of heart disease, but for the purpose of this article, I will focus on what most people are familiar with and that's damage to the arteries which can become clogged and cause heart attacks and strokes. What damages your arteries is inflammation, and the main things in your diet that increase inflammation are sugars and bad fats. Sugars cause increased insulin levels. Insulin is a very “pro-inflammatory” hormone. Chronically high insulin levels in your blood are a very dangerous thing and cause a lot of damage to the lining of your arteries. Bad fats, (those high in polyunsaturates) like vegetable oils and trans fats in products like margarine and vegetable shortening used in cooking cause a lot of free radical damage to arteries, and increase oxidative stress. down the absorption of carbohydrates into the blood stream), fats with stable molecular structures, and quality proteins, which also slow down the absorption of carbs into your bloodstream. The words “heart healthy” are often used as a marketing term. In fact companies pay the American Heart Association for the right to put the words “heart healthy” on their products, most of which are not healthy at all. This is just a semantic con game. Knowing what causes heart disease will allow you to avoid the nutritional traps that are created by slick marketing and corrupt government agencies. 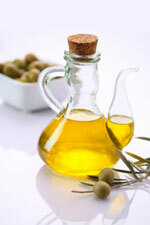 Avoid trans fats, and use good fats like olive oil and butter instead. Only cook with coconut oil. The above rules for heart healthy meals may seem complicated, but once you get into the habit of eating this way, you won't even have to think about it. A heart healthy diet does not have to be bland as well. There are plenty of tasty heart healthy foods that you can eat so you will never be bored. These two things will help promote the health of your heart and the rest of your body by reducing oxidative stress, which is what causes heart disease. The main thing to remember about a heart healthy diet is that it minimizes blood sugar elevation, and thus also minimizes insulin levels. Foods that do this are by definition heart healthy foods, and these types of foods should make up heart healthy meals.